We had wondered where the conclusion report was from Jacobs following the months of public consultations. This document was not published anywhere we could find it at either TDC or KCC. Many of us actually had requested it prior to sending in our comments to the Arlington Planning Application. We would also have expected such an expensive exercise to have fed into KCC and TDC’s opinion on what to do with Margate’s seafront. 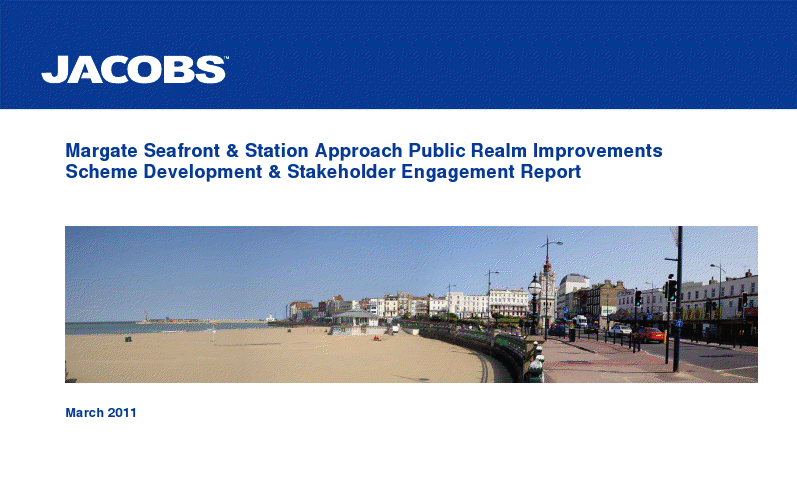 This 99 page document clearly shows the desire is to have less traffic on the seafront not the opposite. This entry was posted in Uncategorized by arlingtonhsmarg. Bookmark the permalink.